It is of the Royal Trux reunion album White Stuff. This is a damn good record and as a fan of The Dead Weather, this is right up RtBE's alley. In fact, Allison Mosshart must be a huge fan of Jennifer Herrema, hopefully with less drugs. 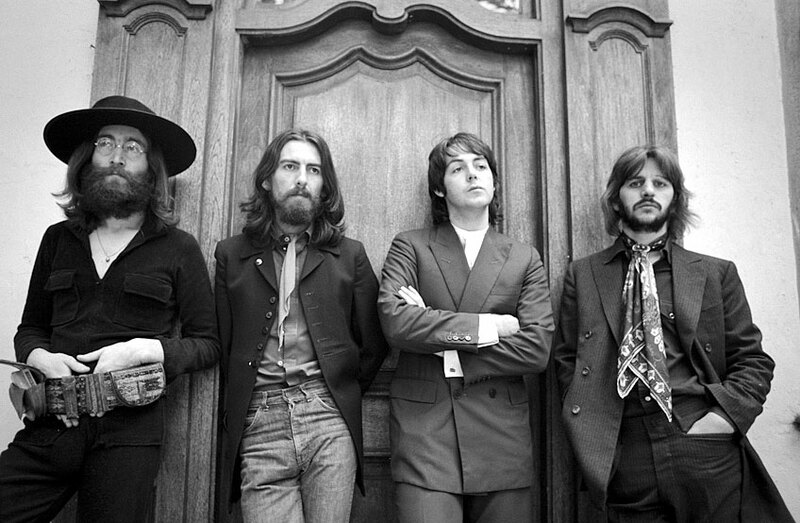 That the Beatles were greater than the sum of their parts is a testament to how good they really were because their parts are pretty amazing on their own. 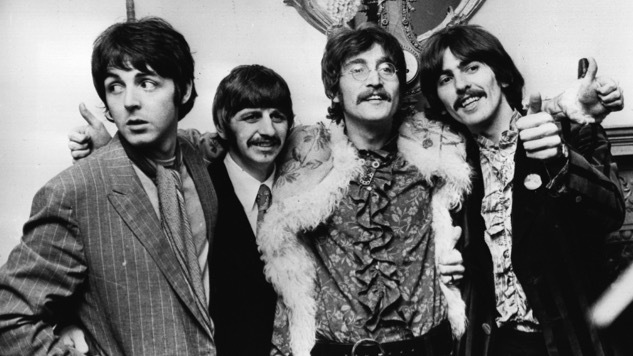 Today we look at the Beatles solo efforts and rank the top five of the bunch. And, yes, solo albums include Wings and The Plastic Ono Band. Don't split hairs or get caught up in semantics, reader. This is just a blog. A humble, damn blog. There isn't anything that hasn't been written or said about the Beatles, so you'll find nothing new here. Get ready for the lukewarm takes! We thought narrowing down the list to five albums was going to be relatively easy but when John Lennon's Double Fantasy and Paul McCartney's Band on the Run didn't make the cut, we realized that their collective catalog runs deep - or we got it wrong. On March 24th, 1975 Paul and Linda McCartney hosted an album release party for their band Wings newest release Venus and Mars on board the famous Queen Mary which was docked outside of Long Bach, CA. The main event of that party was a bubbling set by New Orleans legend Professor Longhair which was recorded and released. Now Live on the Queen Mary is being re-released and remastered on 180 Vinyl, CD and digital for a new generation of fans to appreciate the greatness of Fess who influenced every New Orleans piano player who has ever heard him. As for Live on the Queen Mary, owning this vinyl is a must for RtBE and to convince you below is a sampling of tunes off the record. It is of Matthew Logan Vasquez most recent release Light'n Up. RtBE has reviewed MLV's solo work before, we caught him playing the Ronnie Hawkins role during the Last Waltz live celebration, listened to Glorietta which he was the driving force behind and we loved his early work with Delta Spirit. This album is just OK to these ears. Nothing fantastic, nothing that memorable. His last album made out 2017 list of worthy records but doubtful this one will follow suit. Dylan Cover #364 George Harrison "Mama, You Been On My Mind"
In this ongoing Monday Series we will be exploring various artists versions of Bob Dylan song's. Today's tune is a cover by George Harrison of "Mama, You Been On My Mind"
An early hidden gem of Bob's writing "Mama, You Been On My Mind" finds him getting poetic, melodic and rhythmic with his words. From the opening 'Sun Cut Flat' phrase Dylan is in top gear, talking to the woman he is thinking about with clarity, fleeting desire and a smirk. Often performing the tune with Joan Baez in those early days the tune took on an add dimension as a duet. A great song that should get even more love then it does. 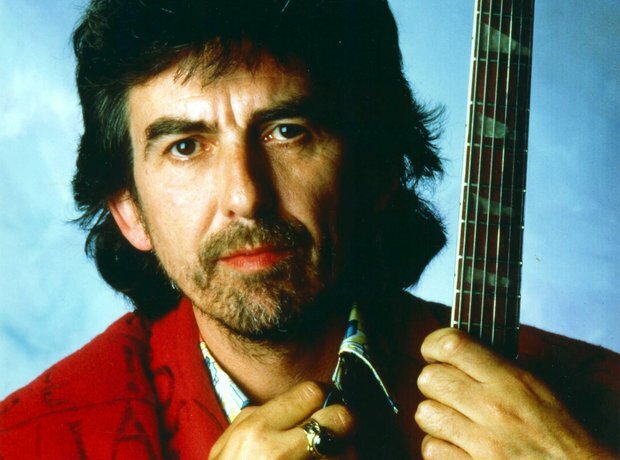 George Harrison is the Beatle who was closest with Dylan, as he orchestrated the amazing Traveling Wilburys and wrote/recorded with Bob on a few other occasions. Bob even covered "Something" live in tribute to Harrison.There was a deep connection, friendship and respect between the two and it is palpable. An excellent cover of this tune as Harrison's vocals are spot on. The insertion of the electric guitar is key and the backing duet vocals (from I am not sure who) even recalls the Dylan/Baez version. This is a great cover from a class act and as an added bonus today is the day George Harrison was born. To celebrate, here is the rehearsal video of Dylan and Harrison prepping for The Concert for Bangladesh. We search the murky back waters of youtube to find full concerts and post them to the site weekly, come back every seven days to help us celebrate Full Show Friday's. 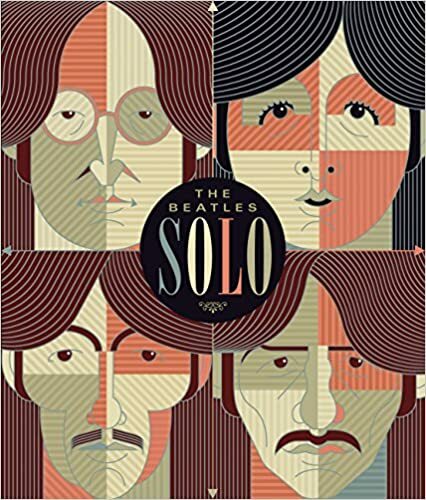 These shows are of varying quality and may not be here for long so enjoy them while you can...As always, please support the artist every which way, but especially by seeing them live (if they are still playing)...This week...The Beatles! Our focus this month in our ongoing Masters series are The Beatles and since they stopped touring midway through their career there isn't a lot of video footage to choose from. Here they are from 1965 back on their home turf of England (if not Liverpool exactly). It is a short but spicy set from the lads. The 12 piece Tedeschi Trucks Band have established themselves as one of the top touring acts, delivering vibrant, soulful, roots rock and roll. The group retreated to the band leading husband and wife's home studio Swamp Raga to record their fifth studio record, Signs, live, directly to analog tape. The result is a controlled mix of soul, blues and more restrained songs then some of the bands past efforts; at this point the band is confident in doing exactly what they do. The album solidifies lyrically around themes of moving forward from loss while putting aside differences and coming together for love and the greater good. Tedeschi's vocals have always been strong and the recording style enhance her warmth, as do the pitch perfect backing vocals. The group has their funky good time rock locked down at this point in their career. Tracks like the opener "Sign, High Times", the grooving "Walk Through This Life" and the climatic "Shame" all already fit gloriously into their live set and these versions work strongly on record. The studio allows the outfit to settle down as well, "Strength What Remains" is acoustic based with a Kofi Burbridge flute solo and "The Ending" wraps up the record with just Trucks and Tedeschi duet on a memory tune about past performers with palpable intimacy. 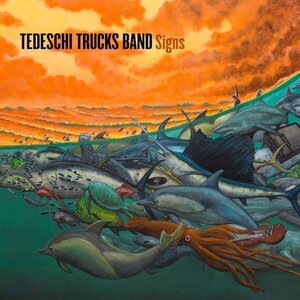 The best of the slowed down numbers is the violin draped "When Will I Begin" which increases instrumentation but is based around some of Tedeschi's most emphatic vocals on the record. The outfit gets everyone involved on the easy rocking Americana of "Still Your Mind" but all of the players seem a bit more invested in the swaggering southern rocking numbers like "Hard Case" and "They Don't Shine" both of which cook with southern fried fat. While the group has yet to craft that knock out song which would elevate them even higher, they continue to do what they do with grace and ease. The statement song which coalesces Signs overall theme is "All The World" with gospel vibes straining through the organ, strings and gorgeous vocals. The Tedeschi Trucks Band are professionals who make the music they love for others to enjoy both on record and onstage. Somehow this feels pretty spot on. 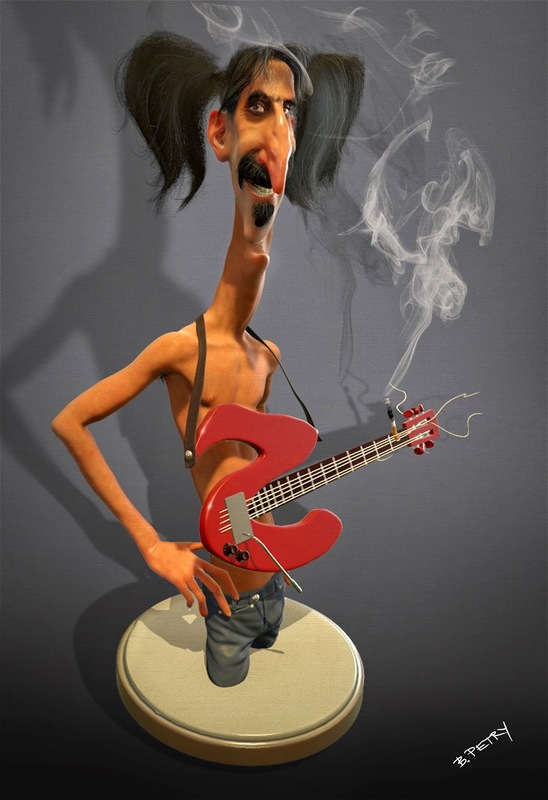 The Bizarre World of Frank Zappa will be touring the Northeast and Europe with a mix of live artists and a hologram Frank Zappa playing along. Glide has the full details where Ahmet Zappa discusses his fathers love of holograms and 3-D technology. This might seem like a money grab (and that is part of it) but Zappa was at the forefront of a lot of mediums (check out the clay at the end of "Stinkfoot" below) and this doesn't seem as blatant. The touring unit boasts guitarists Ray White and Mike Keneally, bassist Scott Thunes, multi-instrumentalist Robert Martin, percussionist Ed Mann, and drummer and ZAPPA archivist Joe “Vaultmeister” Travers. Live dates are below and to get us psyched for the hologram images how about some live video of Franks and company. Tickets go on sale Friday. It is of Yola's debut full length titled Walk Through Fire. I was lucky to catch Yola a few weeks ago for her NYC debut at Rockwood. The show was solid, but nothing crazy, and while this album isn't perfect, it is damn good and a great testament to her talents. The production by Dan Auerbach fits her expertly and while I thought the Shannon Shaw plus Auerbach combo would be a home run, this record is much better. Tickets for the NYC shows will be going on sale in about 15 minutes, so feel free to to jump on those. The tour will be showcasing his upcoming release of I Need A New War which you can pre-order. 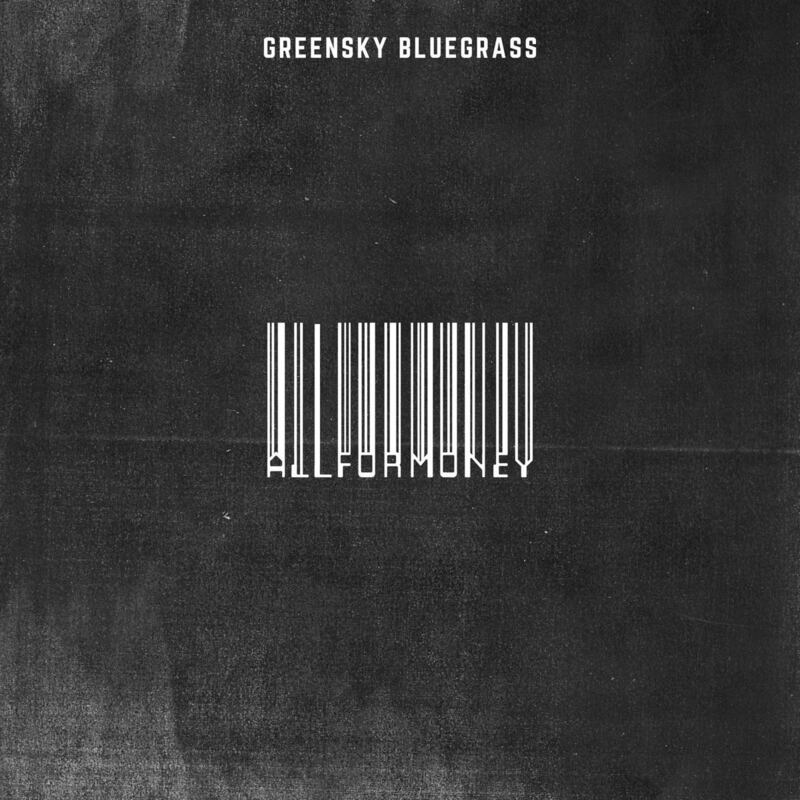 The Kalamazoo, MI based outfit Greensky Bluegrass has been delivering their own mix of acoustic bluegrass and experimental rock and roll for a while now. Their seventh full length titled All For The Money is aimed at our current times while still mainlining the bands unique vein of music. The players, Anders Beck [dobro], Michael Arlen Bont [banjo], Dave Bruzza [guitar], Mike Devol [upright bass], and Paul Hoffman [Mandolin] are live stage veterans who have developed a strong following with their touring and extended high energy sets but on All For Money they have confidently brought their style into the studio and modern day. Opener "Do It Alone" perfectly questions our vapid 2019 society with electronic effects to the groups sound while the ominous distorted strings of "It's Not Mine Anymore" delivers both Eastern meditation and metal-ish vibes as the song swirls out; both tracks show the range of the band which leads to a successful album via strong song writing, imagination/experimentation and yes, picking. "Murder of Crows" excellently falls more back towards the traditional bluegrass vein with mandolins and banjos leading the charge, but lyrical it deals poetically with distance, addiction and loss. The upbeat twangy workout "Courage for the Road" is also acoustically driven and works as a solo laden extended ride with dobro highlights, perfect for the live stage, but succeeding on disk as well. The songs are all solid with the great bass groove of "What You Need" supporting singing about wealth love and material relationships while "Collateral Damage" continues that lyrical journey with the pains, yearning and heartbreak intact. "Like Reflections" is an easy folk influenced numbers with backing vocals sounding straight out the Counting Crows and "Wish I Didn't Know" also feels like bluegrass inspired tune from that group, only better. Produced by Dominic Davis the band and Davis worked hard to meld the onstage success in the studio and they were successful. At times the singing and lyrics can feel buried, behind the strings, but each player is bright and alive. The country twang gets umped up for "Cathedral Eyes" and the dynamite closing title track is an extended technical tour de force combined with a spacey experimental break before a climatic finish in Pink Floyd fashion, lyrically questioning their own motives, which will certainly connect with their fans on the live stage. Greensky Bluegrass continue to forge their own path and All For Money is an robust journey to join them on. Dylan Cover #363 The Beatles "Rainy Day Woman No 12 & 35"
In this ongoing Monday Series we will be exploring various artists versions of Bob Dylan song's. Today's artists, The Beatles performing a live cover of "Rainy Day Women #12 & 35"
RtBE is featuring The Beatles all month in our Masters series and needless to say The Beatles are the bee's knees. We search the murky back waters of youtube to find full concerts and post them to the site weekly, come back every seven days to help us celebrate Full Show Friday's. These shows are of varying quality and may not be here for long so enjoy them while you can...As always, please support the artist every which way, but especially by seeing them live (if they are still playing)...This week...Ariana Grande! Each January RtBE does a Jazz showcase and judging by clicks, people aren't that into it, so for February we go pop during our Full Show Friday series to blatantly attract clicks. 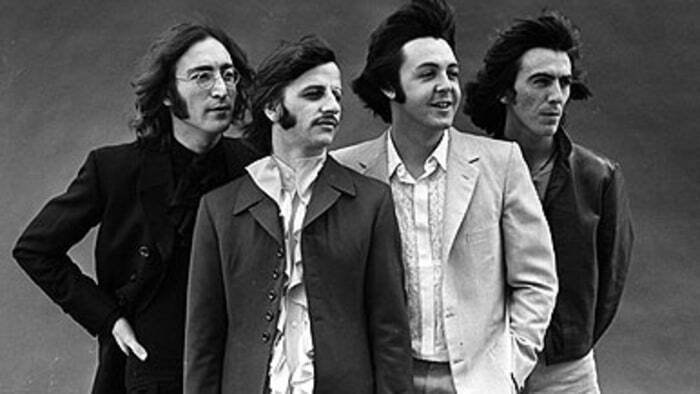 Fret not though, The Masters series is also focusing on The Beatles this month and will mix in some classic shows. We here at RtBE could not identify one song from Ms. Grande, but we will gladly have people click here to check her set from Amazon Prime Day 2018 out. With Amazon pulling out of it's deal with NYC yesterday, this seems like a good day to showcase this particular set. It is of Thundercat's early show from last night at the Blue Note in NYC. I have reviewed Thundercat before, Drunk was quirky and cool but not very repeatable; truthfully I have not played it much since reviewing. Needless to say I was not prepared for how great a live show Stephen Bruner pulls off. He along with keyboardist Dennis Hamm and drummer Justin Brown were electric on the small stage. Any fan of adventurous tunes need to check out this trio, you can try to get into some of the remaining shows at this Blue Note run, you will not be disappointed. I really hope they craft a live album from this stand as I would love to hear these tunes again. 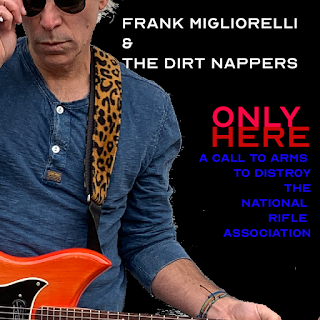 With a new album set to be released on March 15th titled The Things You Left Behind, Frank Migliorelli has released an important new single today titled "Only Here". This is more then just a simple tune, which is obvious when you listen. It was inspired by the Parkland shooting massacre and is being released on the anniversary of those shootings. All proceeds from this song will be donated to Every Town for Gun Safety and the Sandy Hook Promise. This version features Tony Tino on bass, Sherryl Marshall on vocals, Daniel Weiss on organ, Thad DeBrock on guitar, and Tommy Diehl on drums. The track was mastered by Scott Anthony at Storybook Sound. We were lucky enough to have interviewed Frank for his last release and will be reviewing his new album soon. Be sure to catch him live and below is a solo acoustic version of "Only Here" with an intro which briefly describes his process with the new tune. In the Father John Misty song "Mr. Tillman" he sings the line "Jason Isbell's here as well/And he seemed a little worried about you". Now Jason Isbell himself can keep close tabs on Mr. Tillman as the two will be co-headlining a cross country tour this June. Both are RtBE Personal Favorites as we love Isbell's albums and shows while rating Misty's most recent album, God's Favorite Customer our favorite from last year, but have not yet seen him live. 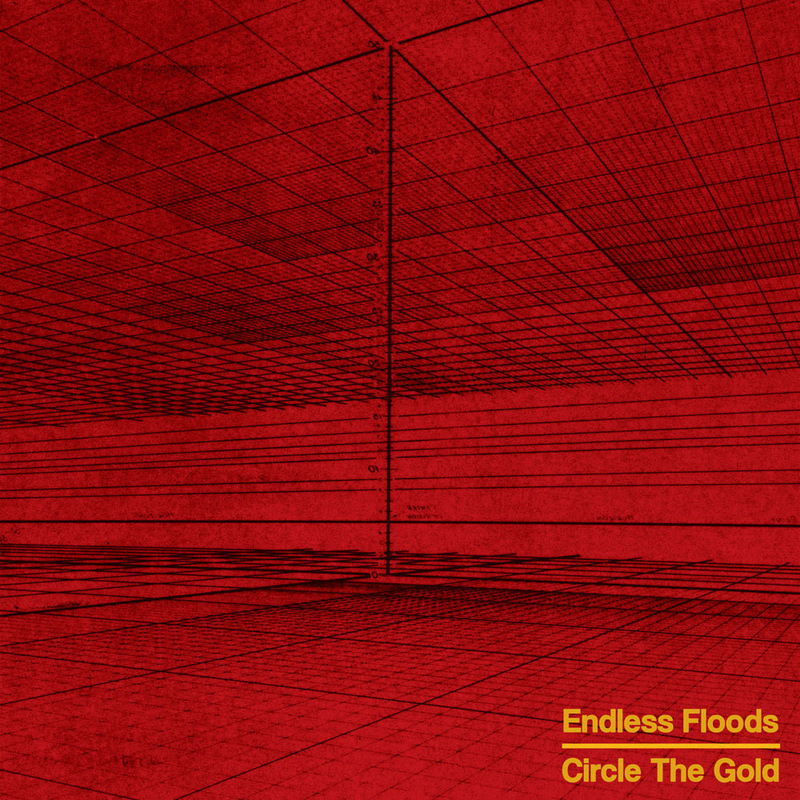 The doom metal band Endless Floods newest effort is a move towards more melodic travelings from 2017's more drone laden II. The French trio still lumber and take their time getting anywhere, Circle of Gold is two tracks running over forty minutes, but now the group inserts flashes of hope among the sonic rubble. The band (Stéphane Miollan - Bass & Vocals Simon Bédy - Guitar Benjamin Sablon - Drums) crawl ahead, opening up with the huge drum hits of the title track before vocal wails are buried under the trudging sound. The effort devolves into sparse feedback and the odd cymbal drum hit about six minutes in before slowly and blissfully climbing up the muddy banks to evolve into a dense buzz laden beast standing on two legs around the eleven minute mark. The track brings back distorted screams from Miollan, but vocals act more as sonic tapestry, deciphering the words is impossible but the title track climbs high to close, finishing on a positive note. The follow up "Seeds" continues the assault with layers of feedback drums and low end to break upon the eardrum like waves as the trio sail towards brighter skies. The same pattern is back as the song empties into sparseness around the six minute mark again, with just a drum and various notes of a guitar keeping the song afloat before things turn around. The difference this time is the guitars hold course while the drums of Sablon take the lead moving in different directions to right the ship. Their are both ominous sojourns and noise interludes over the twenty minute adventure but the style remains the same. 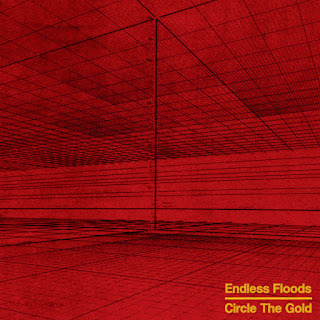 Endless Floods are moving towards a more inclusive sound with their doom laden, slow numbers and there is a sense of coming out of the darkness on these two tracks. That said, it is not the easiest to digest if you are not a fan of this style of metal. Those who enjoy the plodding, loud, mammoth simple structures will find the rumblings soothing Circle The Gold's sheer force of sound. In this ongoing Monday Series we will be exploring various artists versions of Bob Dylan song's. Today's artists, George Harrison doing a live cover of "Absolutely Sweet Marie"
That's about as complete as you can be. Every single letter in that line. It's all true. On a literal and on an escapist level.... Getting back to the yellow railroad, that could be from looking someplace. Being a performer, you travel the world. You're not just looking out of the same window everyday. You're not just walking down the same old street. So you must make yourself observe whatever. But most of the time it hits you. You don't have to observe. It hits you. Like, "yellow railroad" could have been a blinding day when the sun was so bright on a railroad someplace and it stayed on my mind.... These aren't contrived images. These are images which are just in there and have got to come out. Tight taught and still somehow allusive, pretty cool and totally Dylan at his finest and a real Blonde on Blonde jam. Coming from the mammoth 1992 concert at MSG which celebrated Dylan's 30th Anniversary of his first Columbia release Harrison nails it on this one with GE Smith and the band cooking behind him. This was a highlight on a night full of them and a fantastic addition to our monthly Masters series. 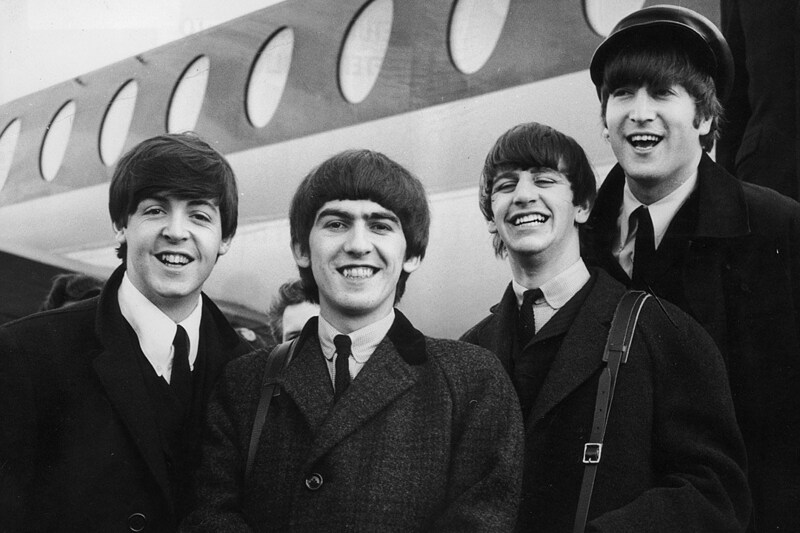 Our focus this month in our ongoing Masters series are The Beatles and since they stopped touring midway through their career there, isn't a lot of video footage to choose from. Here they are from 1964 as the mop haired quartet play Australia to the crowd of screaming fans.